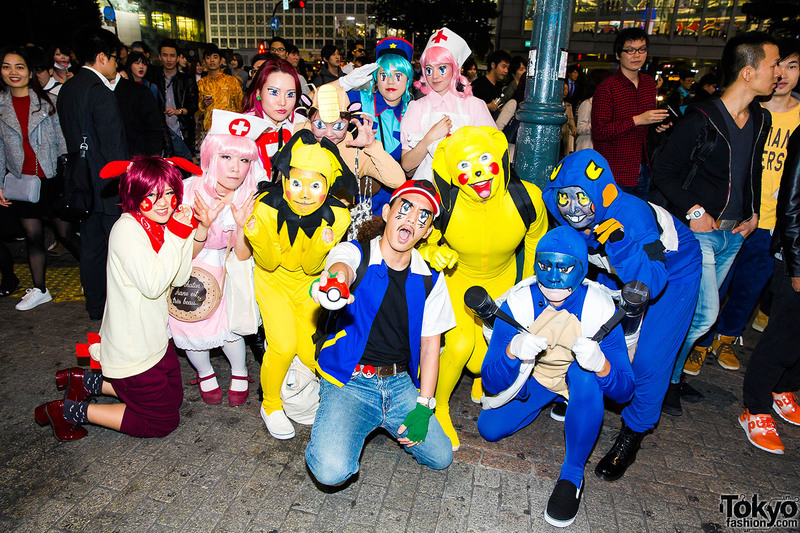 150 pictures of Halloween costumes on the streets of Tokyo’s Shibuya neighborhood on Halloween Eve 2015. 200+ pictures from the 2013 Campus Summit event in Shibuya – featuring gyaru fashion, gyaru music, Egg Magazine models, and lots more Japanese gyaru culture! 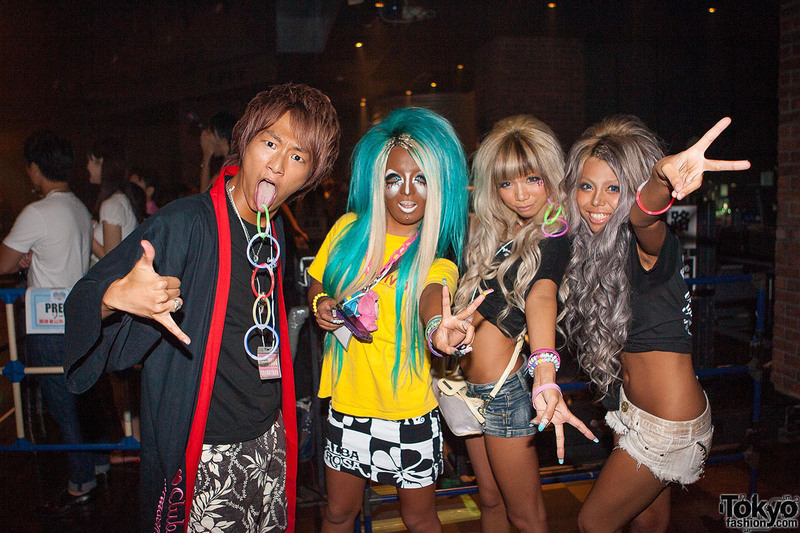 Shibuya gyaru with rainbow hair, pink-blue Baby Shoop fashion, furry leg warmers and a Minnie Mouse purse. Blonde Japanese kuro gyaru wearing items from d.i.a. and Thirteen Japan on the street in Shibuya. Japanese gyaru with big pink hair, animal print, a large d.i.a. belt buckle and furry leg warmers on the street in Shibuya. Yui from the kuro gyaru group Black Diamond wearing furry knee-high boots on the street in Shibuya. Sachiko from the kuro gyaru unit Black Diamond wearing fashion from D.I.A on the street in Shibuya.